Item # 315795 Stash Points: 1,795 (?) This is the number of points you get in The Zumiez Stash for purchasing this item. Stash points are redeemable for exclusive rewards only available to Zumiez Stash members. To redeem your points check out the rewards catalog on thestash.zumiez.com. For a fun and feminine look, pick up the Lace Trim Mustard Tank Top from Lunachix. 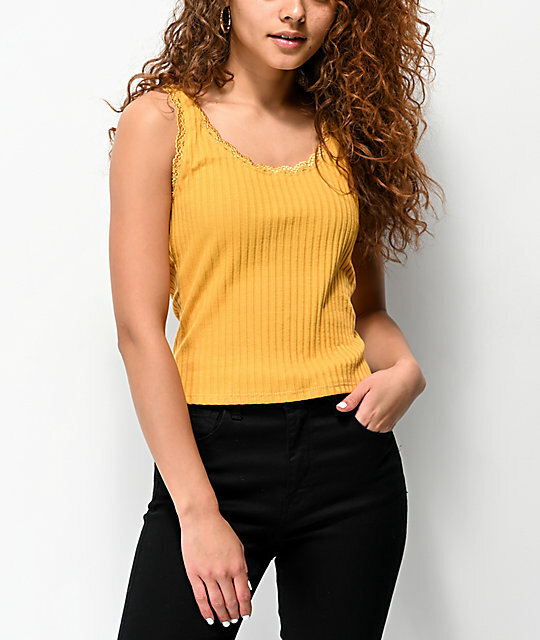 This slim fitting tank top features a ribbed knit construction in yellow, and features lace trim at the neckline and straps. A slim fit and slightly cropped silhouette makes this tank top a fashion-forward and flirtacious look ready to compliment all your summer outfits. Lace Trim Mustard Tank Top from Lunachix. Ribbed knit construction with lace trim throughout. 49% polyester, 49% cotton, 2% spandex. 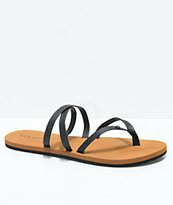 19" (48cm) total length from shoulder to bottom hem.